1964 was the year that saw animation combined with live action in Disney’s Mary Poppins (Robert Stevenson) and the release of the first Pink Panther short The Pink Phink (Friz Frelang/Hawley Pratt). In Japan, Mushi Pro tried to make more money from their budding Astro Boy franchise by editing together three episodes of the popular TV series into a feature film called Astro Boy: Hero of Space (鉄腕アトム 宇宙の勇者/ Tetsuwan Atom: Uchū no Yūsha, 1964). They jazzed things up for the cinematic release by adding colour to the sections of the film adapted from episodes 56 and 71. Rintarō (who was still using his real name, Shigeyuki Hayashi), Yoshitake Suzuki, and Eiichi Yamamoto are credited as directors. 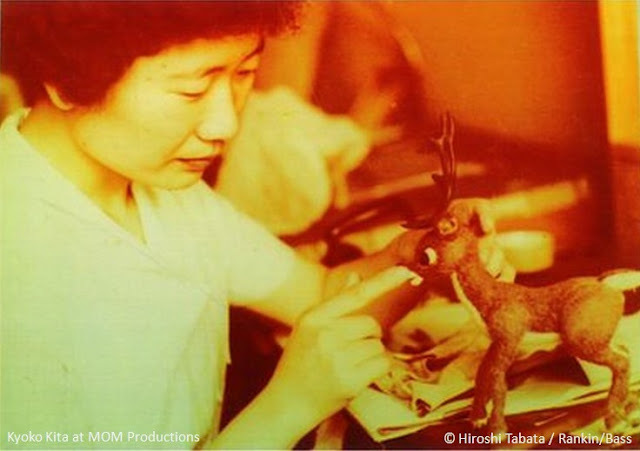 The career of stop motion animation pioneer Tadahito “Tad” Mochinaga reached a pinnacle with the release of the Rankin/Bass TV special Rudolph the Red-Nosed Reindeer (Larry Roemer) (Learn more). While the story and character designs were all conceived of in the United States, Mochinaga’s MOM Productions made and animated the puppets. Since its debut on NBC on December 6, 1964, it has been televised annually becoming the longest continuously running Christmas TV special in the United States. Although she is not mentioned on the Japanese programme notes, the experimental film Dissent Illusion was co-directed by Mort’s wife Millie Goldsholl (1920-2012), who also wrote Faces and Fortunes. Millie ran the film division of the family’s Chicago-based design firm Morton Goldsholl Associates. 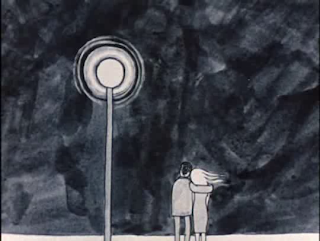 Her animation Up is Down (1969) is a rare anti-war gem. Night on Bald Mountain was, of course, co-produced by his wife Claire Parker. 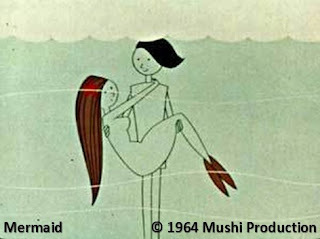 This was also a significant in the career of independent Japanese animator Fusako Yusaki (湯崎夫沙子, b. 1937). In 1964, she moved to Milan to study sculpture and found that clay animation was her métier. Her first films were made in the early 1970s and she is now considered one of the pioneers of stop motion animation in Italy. The winner of the Noburō Ōfuji Award for 1964 was Makoto Wada (和田誠, b. 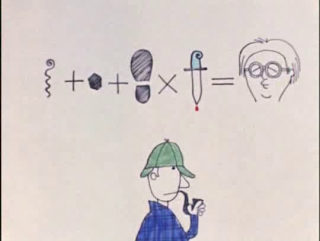 1936) for his droll hand drawn animated short Murder (click here to learn more). These days Wada is best known for his illustrated book covers and movie-themed art.